There was something lurking all session long on Friday. Even though stocks were lower, there was something about the way the market was acting. It was if it wanted to trade higher while waves of buyers reemerged throughout the session, mitigating the downside. Initially, I felt it might have had more to do with a potential announcement of a compromise in Washington, D.C.
Then there was a White House press release on China that certainly sparked some buying, although less than I would have imagined -more on that later. Let’s focus on the last-minute spurt of buying that lifted all major equity indices, save the Dow, into the plus column by the closing bell. It looks as though the Fed was the cavalry once again. San Francisco Federal Reserve Bank President Mary Daly suggested Quantitative Easing (QE) could become a part of the Fed’s everyday monetary toolbox instead of an emergency. You could imagine executing policy with your interest rate as your primary tool and the balance sheet as a secondary tool, but one that you would use more readily. That’s not decided yet, but it’s part of what we are discussing now. While her comments to reporters (after a speech at the Bay Area Council Economic Institute) was the spark that eager buyers needed to hear, it made tongues wag for purists that believe central banks are destroying economies and creating a massive ticking time-bomb. By the way, the San Francisco Fed has been working on this idea for some time and presented its case on February 4, 2019. In a research piece, the author made the case that the Fed could affect negative rates through certain techniques. Such a move would have not only shortened the Great Recession, but it also would have seen the Fed hit its inflation target sooner. It’s a compelling read, and I suggest all investors take a moment to read. Traditionally, it has been assumed that nominal interest rates cannot fall below zero, known as the “lower bound.” Ever since 2008, researchers have debated how much monetary policy was constrained by this lower bound and how much it affected economic outcomes. To work around this constraint, the Federal Reserve turned to unconventional monetary policy tools such as forward guidance and large-scale asset purchases. 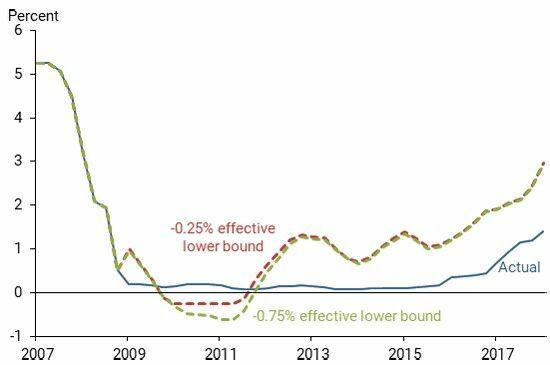 Other central banks—in Switzerland, Sweden, Japan, and the euro area—took unconventional policy one step further and challenged the traditional view on the lower bound by setting their target rates below zero. This framework allows me to quantify the expected shifts in U.S. economic conditions after the financial crisis; I can then capture the unexpected changes, or “shocks,” through the difference between the expected and actual outcomes at each point in time. I use the underlying model of the economy to simulate alternative scenario paths for inflation and the output gap; these focus on situations when the federal funds rate response to economic conditions is governed by historical patterns but can fall negative, down to the effective lower bound. By comparing the evolution of those variables in the data and in the simulated scenarios, I can measure how much stimulus a negative interest rate could have given the U.S. economy during the recovery. China Deal? Rich Chinese Must Think So? Last week, reports from two of the world’s premier luxury brands suggest that wealthy Chinese consumers have returned. This is important because midway through 2018, companies like Louis Vuitton (LVMH) and Swiss watchmakers pointed to a weakness that preceded the peak in the market. More recently, however, Louis Vuitton management has stated that demand is increasing in China. That could be the case once again. Note: the early Chinese New Year helped boost sales. However, the company was able to raise prices on Martell in China last year with a hike again this year, as it introduces an even more expensive version for wealthy Chinese consumers endorsed by Kris Wu. Martell Distinction is specifically for the Chinese market. 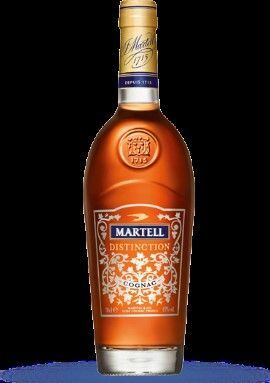 According to Martell’s Cellar Master, “Distinction” is to be a ‘tribute to the essence of the vine,’ and this is shown in the creation on the front of the simplistic bottle. 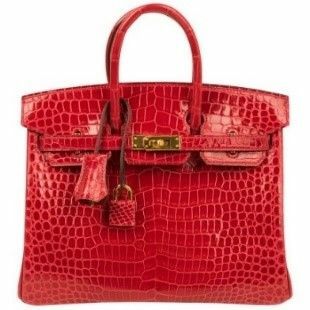 Hermes (HESAY), home of the $100,000 Birkin bag among other iconic products and symbols of wealth, saw a nice quarter-to-quarter rebound in the pace of sales. The company, which gets more than a third of its revenue from China, saw sales outpace overall global sales in the fourth quarter. There is no way wealthy consumers in China would exhibit this type of confidence without very strong feelings there will be a trade deal. In fact, considering the mounting economic weakness in China, it’s very impressive to see this uptick in spending. Although there is no deal announcement on border wall funding, and there is another potential government shutdown looming, the market has been edging higher all morning. Perhaps investors don’t believe democrats will go into another shutdown despite saying they drew a line in the sand as relates to fewer beds to detain illegal immigrants. Meanwhile, the focus is on U.S. - China trade as American teams make their way to Beijing, including the principles later in the week. Investors are cautiously optimistic. The Dow Jones has been the laggard this year among larger equity indices hampered by the same international exposure that had been powering sales and earnings growth. Sixty-six percent of financial reports in more domestic orientated companies have enjoyed outsized results over their multinational brethren. Also, they have 100% better revenue growth. Although China trade issues could be resolved, it’s unlikely emerging economies turn on a dime. Despite a more dovish Fed, the U.S. Dollar remains stubbornly strong. I think the dollar will slip, but thus far, it’s been stubbornly strong. From a technical point of view, Rally 2019 just survived its first test. During the troughs of the meltdown, clear resistance points were created. Since then, they have been cleared, and are now key support points. Last week, we saw this number for the Dow Jones Industrial Average tested as the index dipped under 25,000 during Friday’s session. But the index found buyers, and that pivotal swing point held on a closing basis. There could be additional tests, but normally when an index or stock holds, and passes these tests, it normally triggers a noticeable move higher. The question is where could the next leg of the rally take major equity indices? The Fed paper on negative interest rates was an interesting read. I am no economist to which I say thank goodness! They seem to be right about as much as the weatherman. But my take is that this will once again cause the average individual to pay for the sins of the banking system. Afterall, it was derivatives without regard to risk that was the weapon of mass destruction. And who was held accountable for the mass wreck on the economy and people's lives? By accountable I mean perp walked! Count me skeptical that the fed can get it right. They have proven many times that they can't.